Yes – these really are real marble worktops! This attractive, modern kitchen belongs to our second client in Exton, and is just full of special touches including the wine racks which we made to measure on site. We fitted soft-closing drawers and doors on the cabinets and units, as well as the pull-out larder unit. The half-height wall cupboards with the glass frontage were also fitted with lights inside. Additionally, we refitted the utility room complete with a Corian (resin based, seamless) worktop. 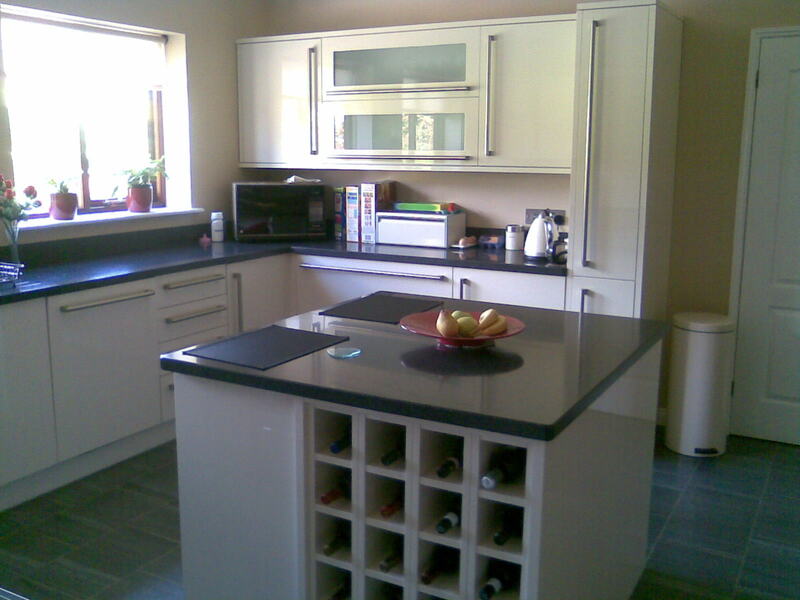 "We are truly delighted with our beautiful new kitchen and we have already had many compliments about it. The design and construction have achieved exactly the kind of ‘feel’ we wanted to create and we look forward to spending many happy hours in there."